Qualified Accountants in Leicester Specialising in Bookkeeping Services. 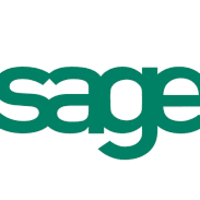 We are pro-active, value adding Chartered Certified Accountants servicing the needs of Companies and Directors, Employees, Individuals, Freelancers, Sole Traders and Partnerships. No client is too small and our services provide all aspects of taxation including personal and company tax, vat, accounting, payroll, credit control, tax investigations and settlements with HM Revenue and Customs. We also advise on tax planning, wealth creation, business plans, forecasts, company incorporation, business strategy and advice. We review key figures and can make suggestions as to how you can improve profitability. We work across your private and corporate tax affairs to make you as tax efficient as possible. We provide up to date proactive advice on any changes in tax regulations, clearly explaining opportunities or threats. I have known Zak for over twenty years during which time he has looked after my tax affairs. He provides a user friendly, efficient but cost effective service whilst successfully resolving issues arising from my tax returns. He also keeps me up to date with progress on any tax relevant issues. I would have no hesitation in recommending The Zak Partnership to anyone. Really happy with the service I have received from Zak Partnership. Excellent value for money as well. They went the extra mile for me when I was setting up. No hesitation in recommending them for all your financial needs. The Zak Partnership Ltd was recommended to me by my husband. Not only do I receive an excellent service but everything is clearly explained. 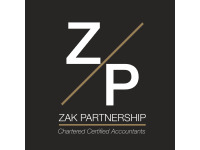 I would highly recommend The Zak Partnership to anyone in need of accountancy, payroll and taxation services. Great Service, Keep up the good work!!! The service I have received so far has been great! Zak is an excellent communicator and keeps me fully abreast of events as they happen and very responsive to replying to emails. In order to keep costs to a minimum, they have helped me in completing tasks myself, using Excel spreadsheets etc.